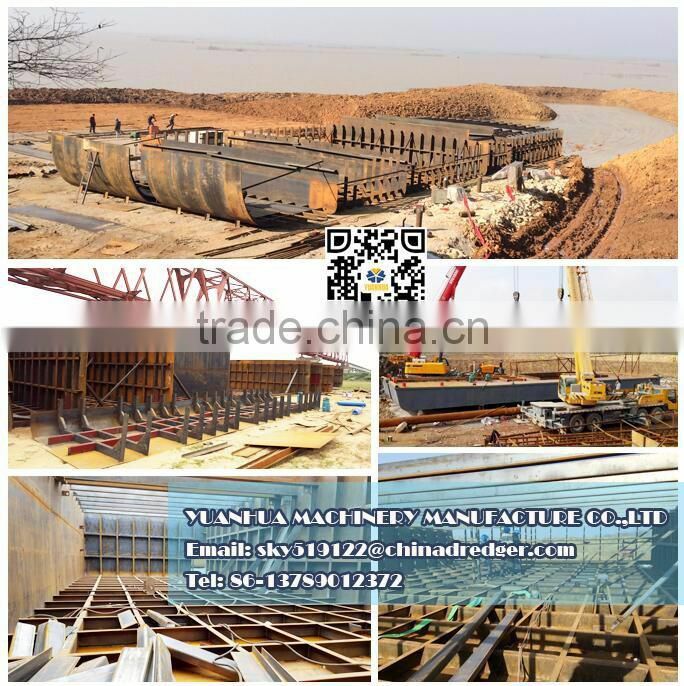 in containers , our engineers will arrive at the construction site to build. 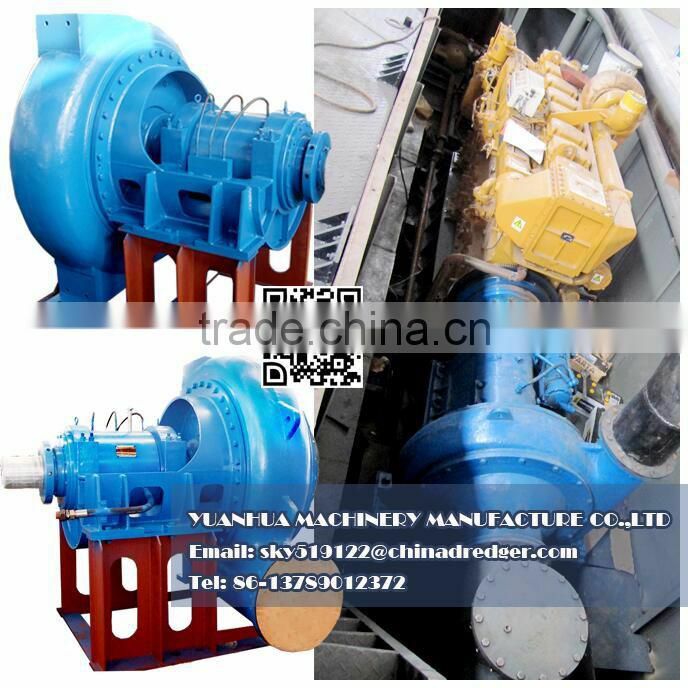 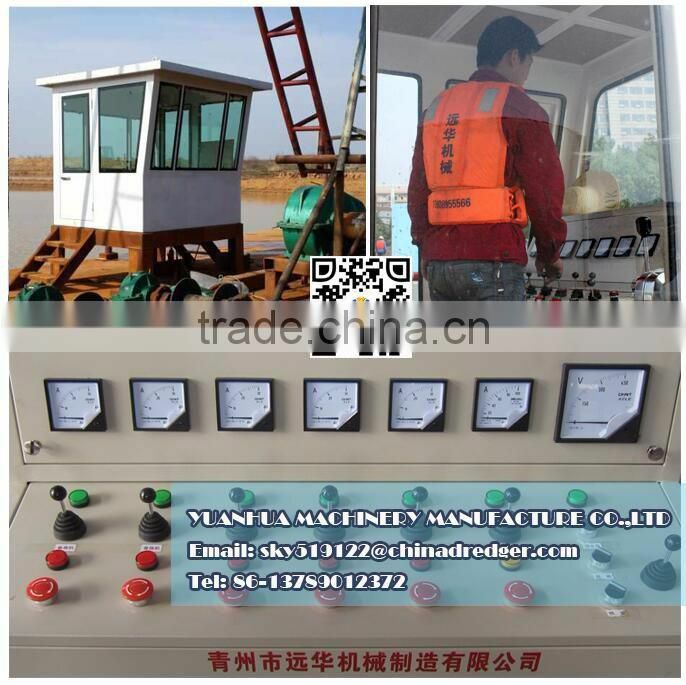 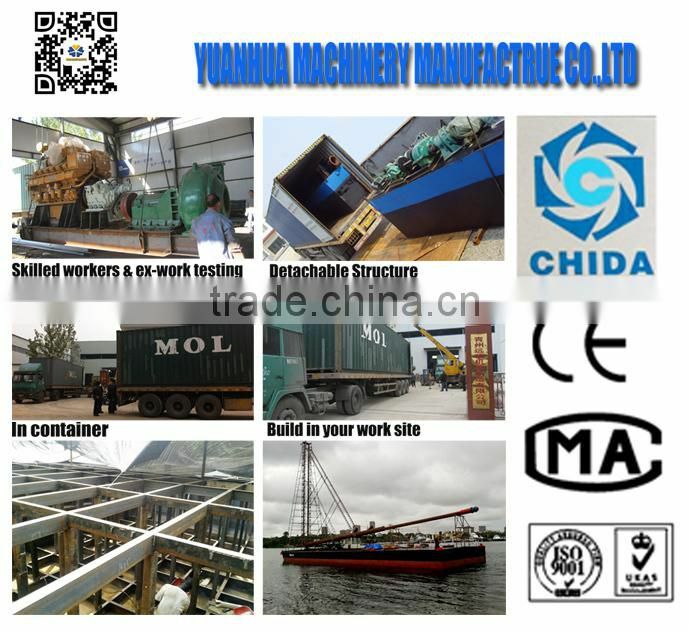 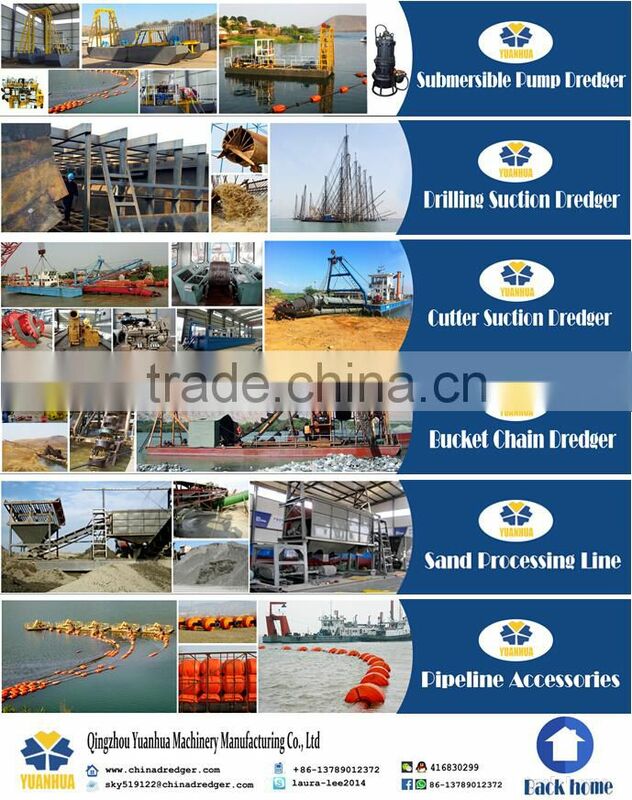 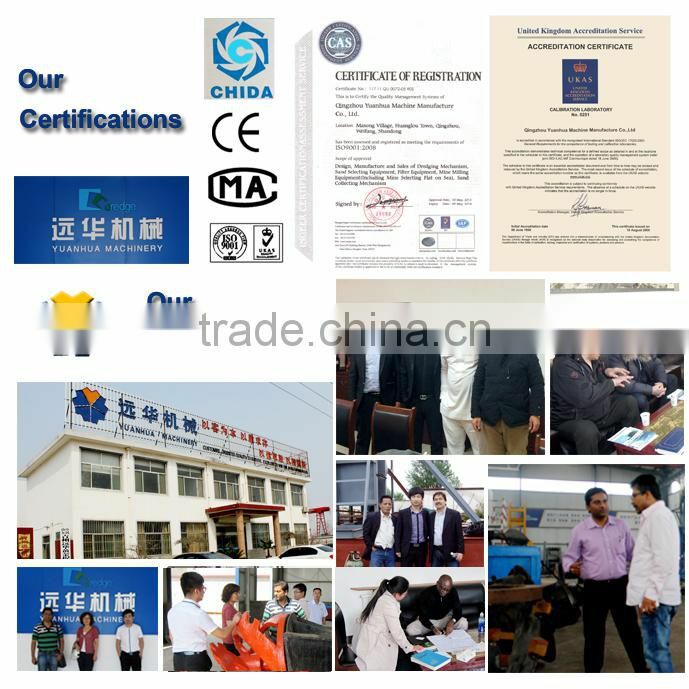 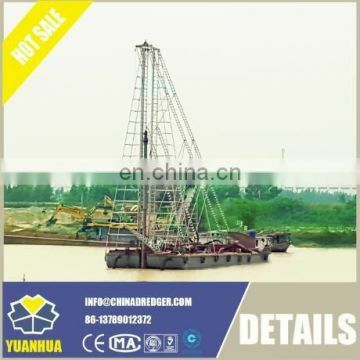 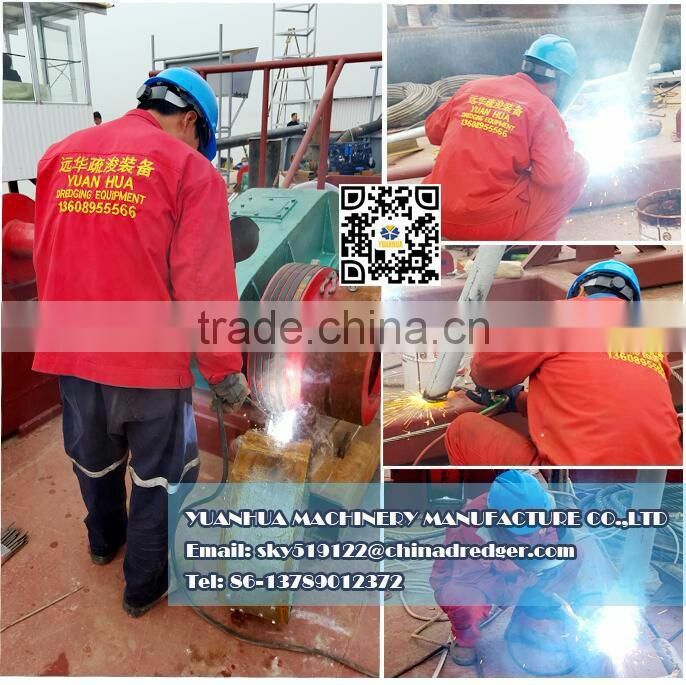 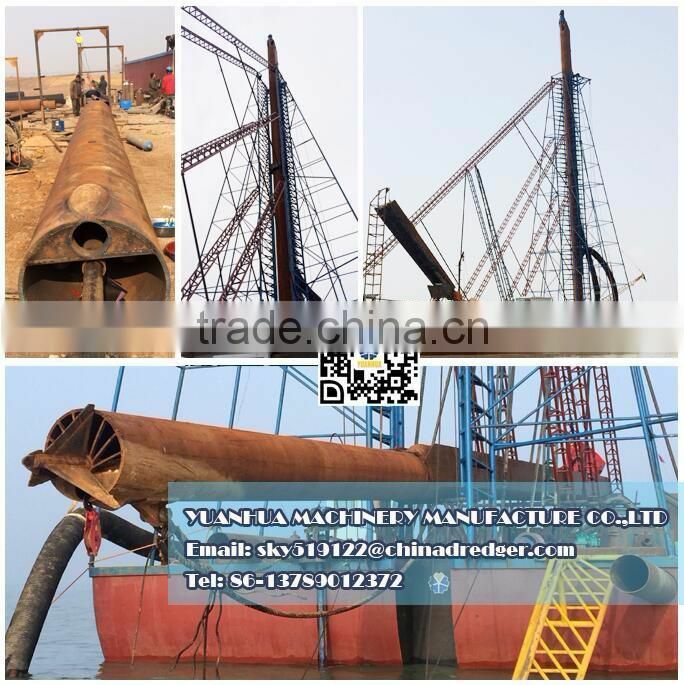 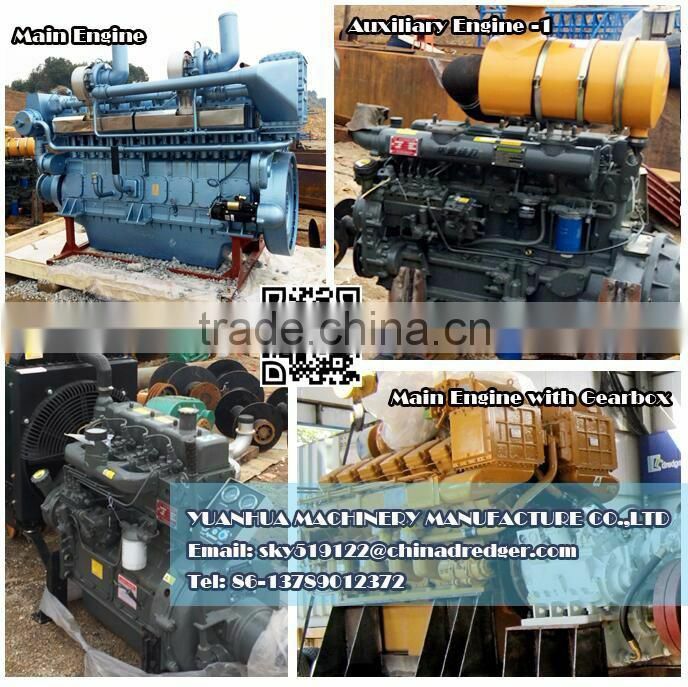 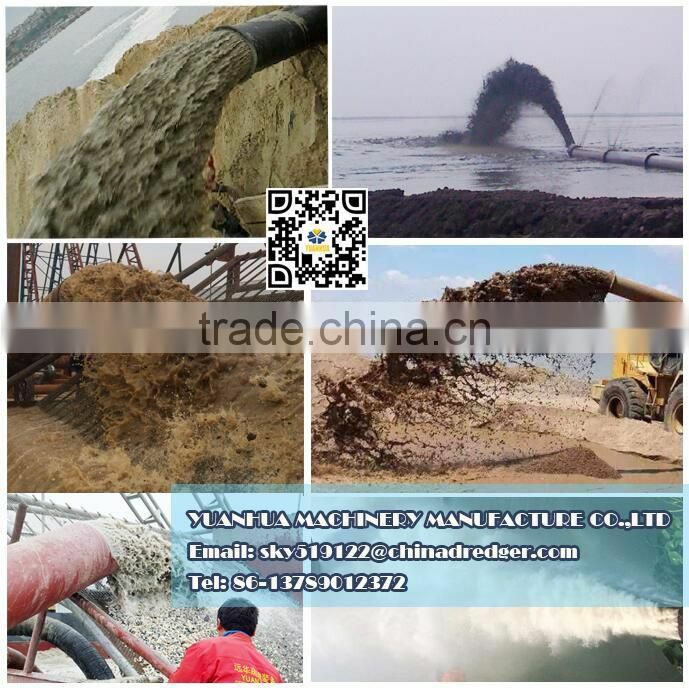 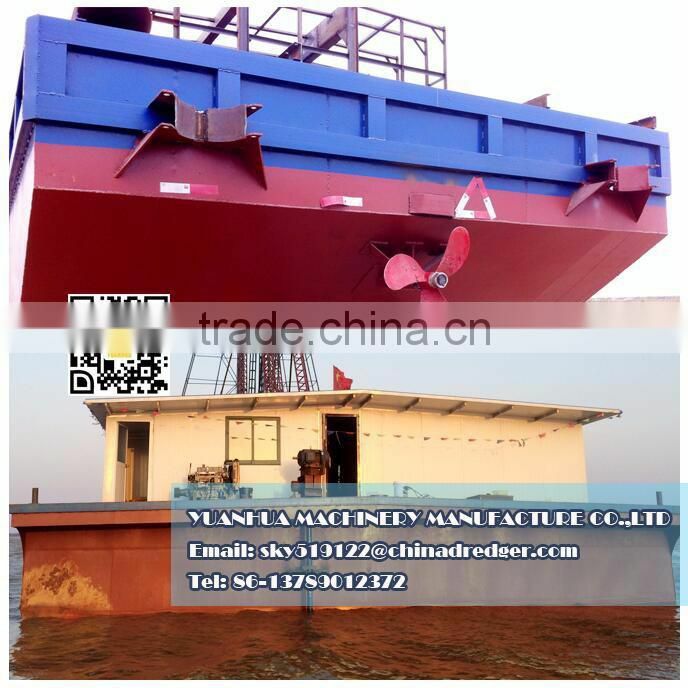 Drilling suction dredgers are widely using for underwater sand dredging, lake mining etc. 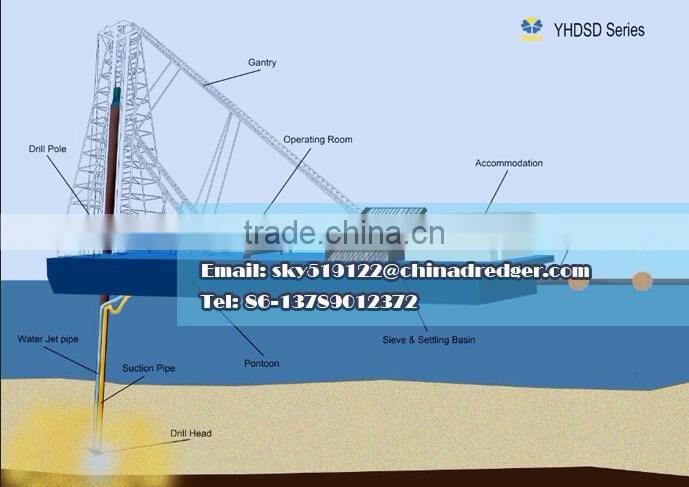 the drill pole is dropped end to make sure that it penetrate the soil deeply enough to be secure. 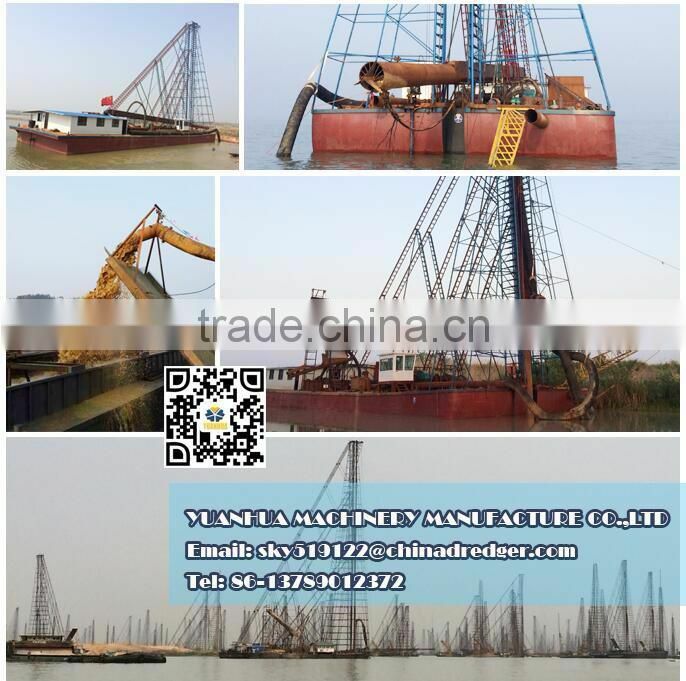 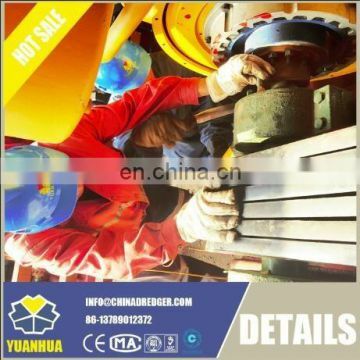 The hoisting system can raising up or lowing down the drill pole of a required depth(0to110m). 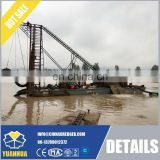 Drill pole as a spud to lock the vessel into a stationary position, meanwhile, pumping slurry vertically out of water through a suction hose which is installed in the drill pole. 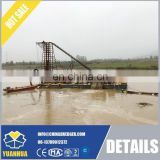 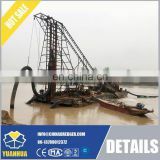 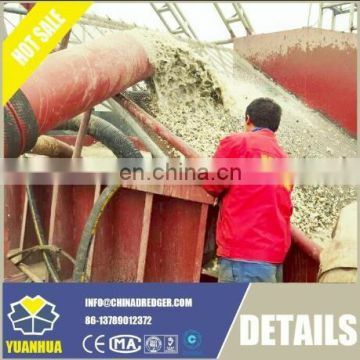 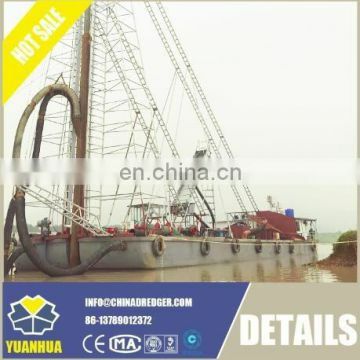 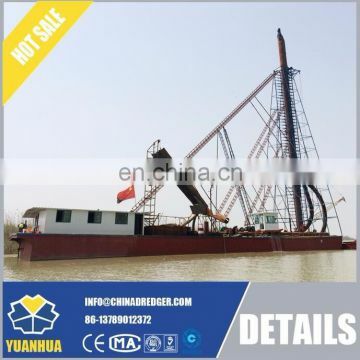 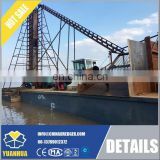 The drilling suction dredger can increase the slurry concentration by 10% and maximum the dredging depth to about 110m.